I chose another miniature quilt today. I like quilting the Mini’s but I sure don’t like piecing them. 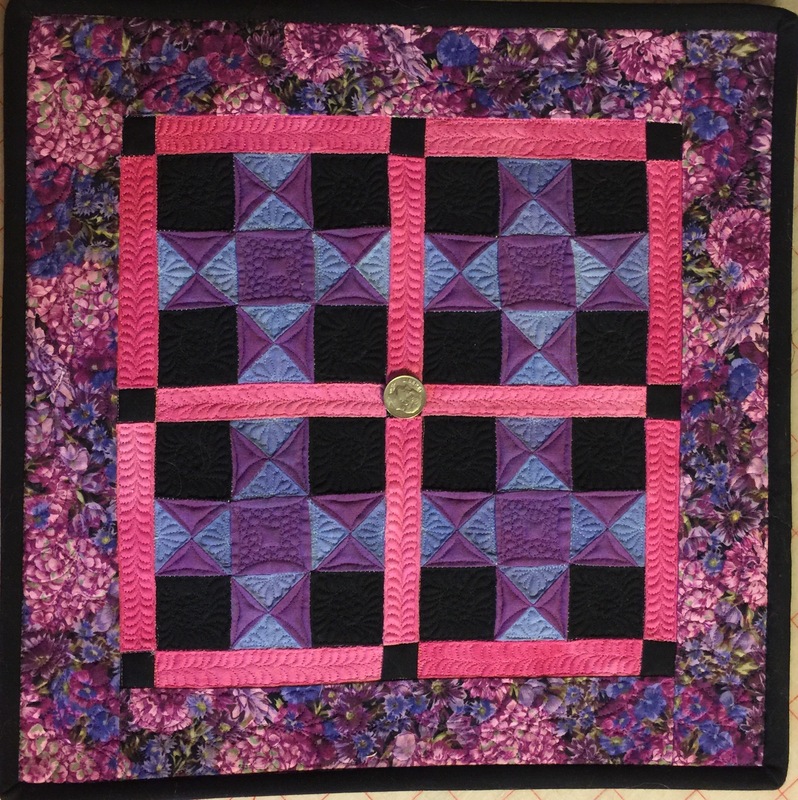 I lucked out on this one and my friend Doris pieced it for me then all I had to do was quilt it. Lucky me!! I put a dime on it to give you an idea of it’s size.